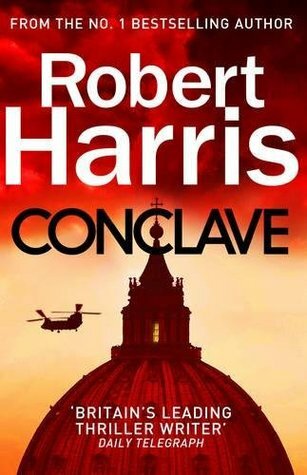 This week’s first paragraph is from Conclave by Robert Harris, a thriller set in the Vatican as the 118 cardinals meet in the Sistine Chapel to cast their votes for a new Pope. Cardinal Lomeli left his apartment in the Palace of the Holy Office shortly before two in the morning and hurried through the darkened cloisters of the Vatican towards the bedroom of the Pope. He was praying: O Lord, he still has so much to do, whereas all my useful work in Your service is completed. He is beloved, while I am forgotten. Spare him, Lord. Spare him. Take me instead. Lomeli reckoned the Holy Father had had it in mind to remove almost half of the senior men he had appointed. I’ve thoroughly enjoyed other books by Robert Harris, so I’m expecting to like this one too. I do love your picturesque banner picture. Is that new local to you? Close to Home, by Cara Hunter. Thanks, yes the header banner is a photo I took of a river quite close to where I live. I thought so, it’s beautiful! Quite British, in fact! I took a similar one of a pub by water a while back, and it reminded me to actually look for that again. I must read this one. I keep hearing wonderful things about it, and it does sound both fascinating and well-written. Thanks for the reminder, Margaret. This does sound good. I read a book with a similar plot line years ago. Such an intriguing situation. I am featuring Death Overdue by Allison Brook this week. Happy reading! Very intriguing 56! Happy weekend!